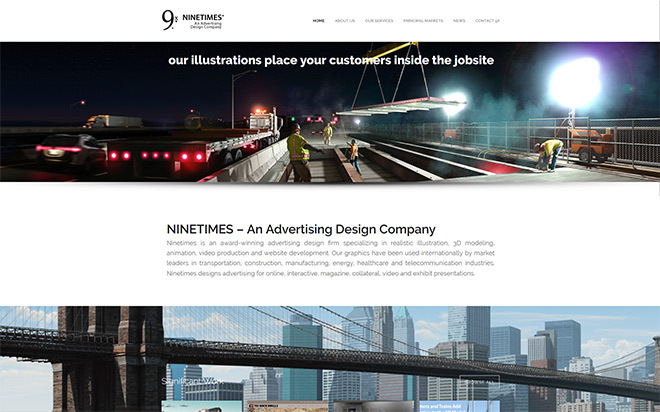 Ninetimes is an award-winning advertising design firm specializing in realistic illustration, 3D modeling, animation, video production and website development. Our graphics have been used internationally by market leaders in transportation, construction, manufacturing, energy, healthcare and telecommunication industries. 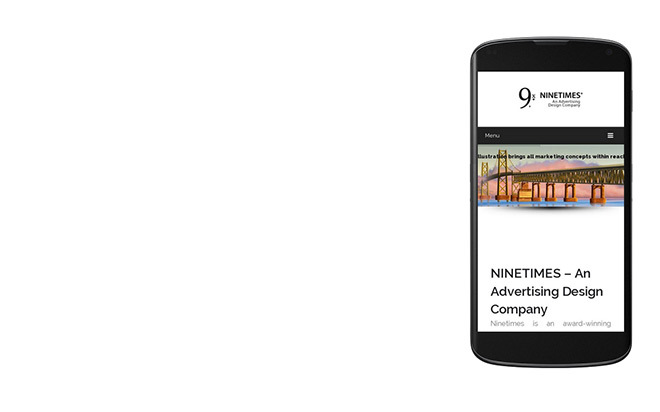 Ninetimes designs advertising for online, interactive, magazine, collateral, video and exhibit presentations. We approach every marketing project with the singular purpose of creating messaging that will best explain and move our client’s products or services. Our company works to achieve this end by producing high impact advertising design, original illustrated images and promotional text that informs and sells. Ninetimes creates advertising that presents a strong message, most often with a realistic or conceptual illustration of a product or service in application. Our impactful graphic presentations are supported with targeted promotional text and structured to promote easy recognition and retention. Our illustrated product and service images provide the flexibility needed to bring great marketing concepts into reach. Ninetimes can add fresh impact to a mature product or present an engineer’s newest development in a realistic or conceptual scene.